Though there are a number of Jiu-Jitsu programs in the Dutchess County area, many of them are one-dimensional in nature. Many people who are not privy to the inside world of Brazilian Jiu-Jitsu do not realize that it is an art which has multiple different elements and each Dutchess County Jiu-Jitsu school tends to have its own particular focus. One reason for this is that Brazilian Jiu-Jitsu has two basic styles: Gi and No-Gi. Gi classes involve the use of a gi or kimono which can be grabbed and used for various techniques such as chokes. On the other hand, participants of no-gi classes wear rash guards and different techniques which do not involve the grabbing of clothing are emphasized, as well as a somewhat faster pace often being evident. Some schools teach one of these almost exclusively, much to the detriment of the students who could benefit from both approaches, but this is not the case at Precision MMA in Dutchess County which has a varied approach to the art of Jiu-Jitsu. Traditionally, Jiu-Jitsu in Brazil, and also to some extent Japan, tends to be almost exclusively Gi-oriented. Whatever the reason for this, the practitioners of this style become dependent upon the kimono grips and often feel confused when placed in a no-gi setting. They may have difficulty dealing with the sweat factor which makes holding onto the opponent more difficult, the faster pace of the match or the lack of attacks like Gi-chokes which cannot be done without a collar to grab. 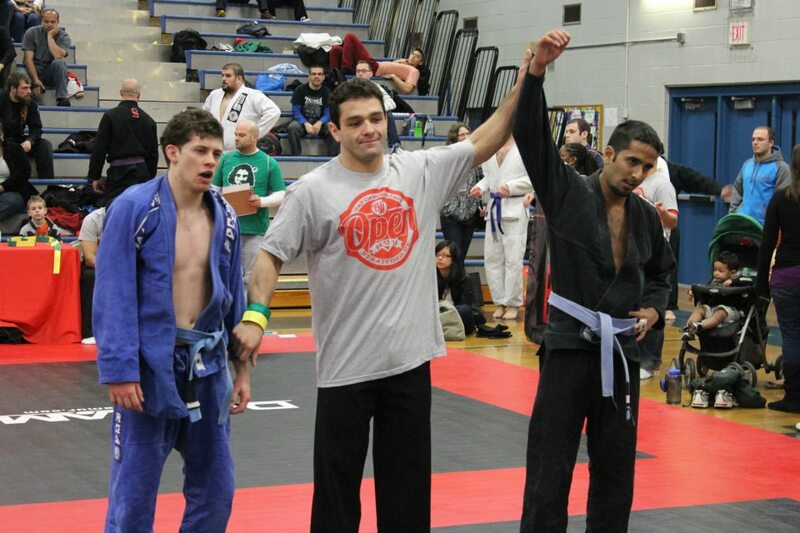 Precision MMA has a strong No-gi Dutchess County Jiu Jitsu program so none of these are factors. At Precision we have beginner, intermediate and advanced no-gi classes where students can learn techniques which do not require a gi to be effective. This is especially important for if the student ever enters a tournament with a no-gi format because gi training will not prepare them for the pace of this type of division. Many times wrestlers will enter the no-gi divisions at tournaments and they tend to utilize a pace which is much more overwhelming than the more methodical pace of gi Dutchess County Jiu-Jitsu. Jiu-Jitsukas who have not trained in the no-gi style will not be prepared for this pace and may lose as a result. However, Precision has many wrestlers involved in its no-gi program and even teaches wrestling as a part of its syllabus so when it comes time for no-gi competition our students will be accustomed to the fast pace of the match and be more likely to be successful. We also focus on many techniques which work with or without a gi, such as rubber guard tactics where a firm grip of the opponent can be achieved regardless of the sweat factor or format. Precision MMA’s Jiu Jitsu program in Dutchess County, NY also includes Gi classes so our students are just as effective in gi competition. All of the traditional collar chokes and techniques which utilize sleeve, elbow seam, pants and belt grips are focused on at Dutchess County’s Precision, as well as defenses to them. This also prepares our Jiu-Jitsu students for if they face Judo practitioners in competition, since Judo is also a part of our syllabus and we understand their strategies and training methodologies. Anyone interested in learning the art of Jiu-Jitsu should want to learn the art in its entirety and this means focusing equally on the Gi and No-gi styles as is done at Precision MMA in Dutchess County. Don’t be one dimensional in your training. Try out our Jiu-Jitsu program for 30 free days and learn from the best. 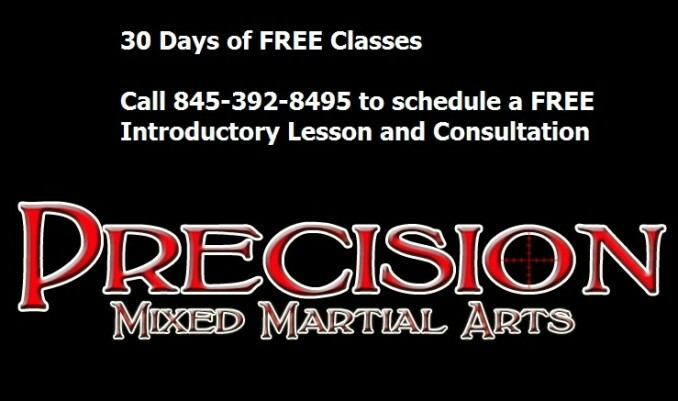 Precision MMA is the premiere Jiu Jitsu gym in the Hudson valley. We have members from all over Dutchess county, in addition to other locations in New York. To join our incredible Dutchess County Jiu Jitsu program, run by head coach Brian McLaughlin, give us a call at 845-392-8495. You can also stop in at 1097 Route 55, Lagrangeville, NY 12540. We are currently offering a 30-day FREE trial, so make sure to ask about how you can receive that!